With our Ironish jumper, we decided to work on colour block details to give this casual grey knit a subtle touch of originality. White, red and flecked mauve have been selected to contrast the casual hue. 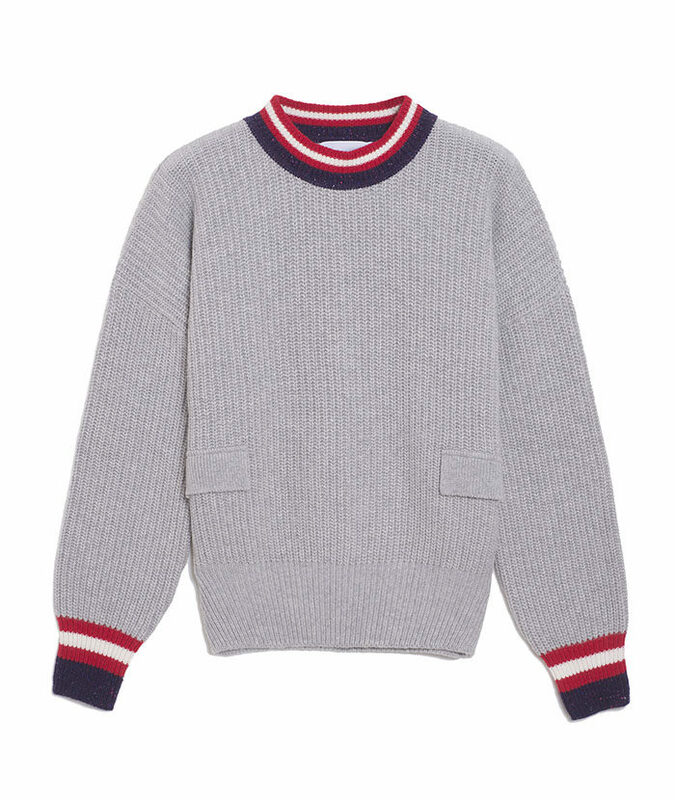 This crew-neck sweater is as practical as it is desirable. Pair yours with black leather pants and sneakers.